Harbour cottages, available to let from the Harbour House Hotel, Harrison Ford holidayed here earlier in the year. 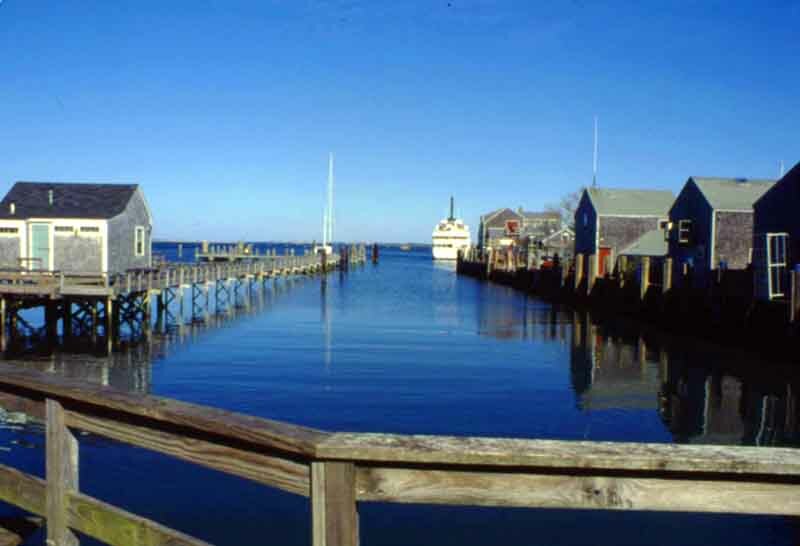 A number of people in the public eye regularly visit Nantucket because they can live near-normal lives while they are here. People will smile and say 'Hello', but not pester them for photographs and autographs. Harbour cottages and the wharf for the passenger ferry. Main Street - the cobbles are far larger and more uneven than they appear here, and act as an excellent speed deterrent. The first sign drivers see when leaving the vehicle ferry is 'Slow down, you're not off-island now'. More cobbled roads are being re-discovered all the time, under layers of tarmac, and are being restored. So many of the island roads are narrow and bordered by hedges that it gives rise to a styling feature known as 'Nantucket Pinstripes' - a myriad of fine scratches running the length of the vehicle. 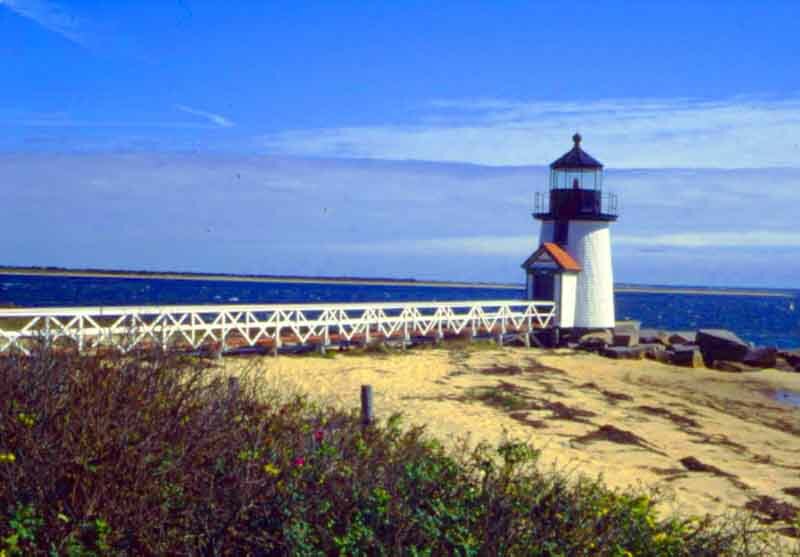 Brant Point light, just about my favourite image of Nantucket. 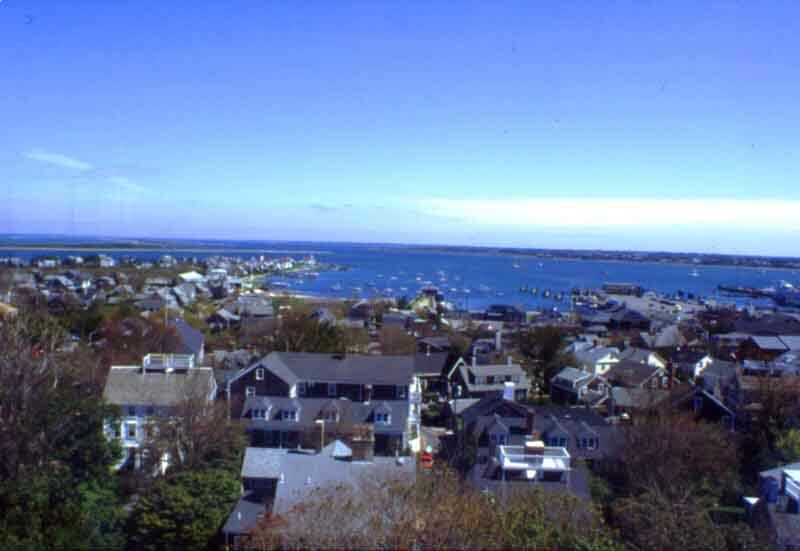 Nantucket harbour and town from the church tower. Like the church, many of the bigger houses have observation platforms or rooms on the roof. Here the wives of sea-captains would look out every day to see if their husband's ship was returning. Ships could be at sea for months, even years, and many never returned at all. For good reason, they are called 'widow's walks'. 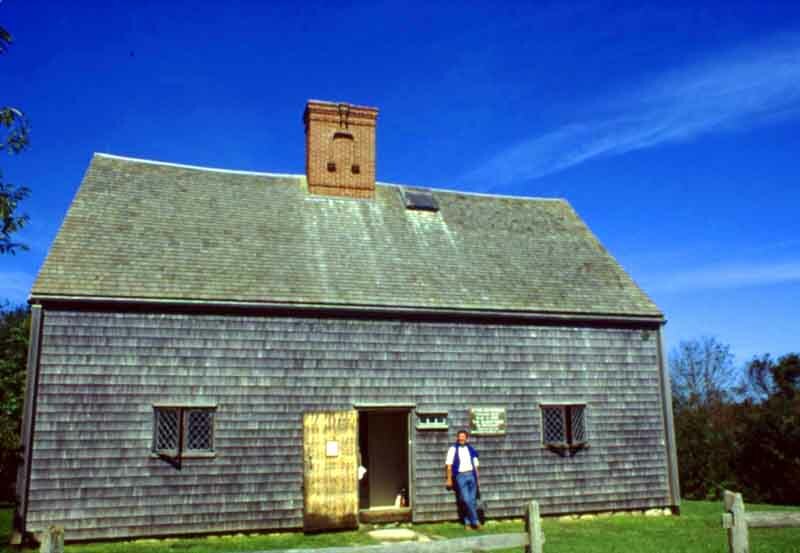 Nantucket's oldest house - the Jethro Coffin ('Coffin' being the family name) house. It was struck by lightning a few years ago and the roof and chimney carefully rebuilt. The original plans were available, but when the craftsman-bricklayer was studying them he came to the conclusion that they were incorrect. After much discussion between the town's elders it was decided to build it to be how it was before, rather than like the plans. Some time later a document dating back to the original construction of the building was discovered stating that the original plans were incorrect, and describing how the chimney should be built - just like the 1990's bricklayer had done it! 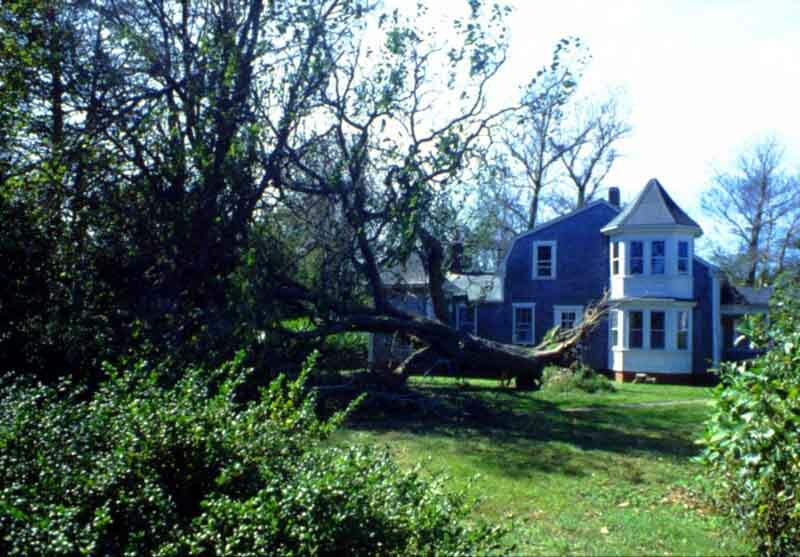 Damage from the storm the night before we arrived. 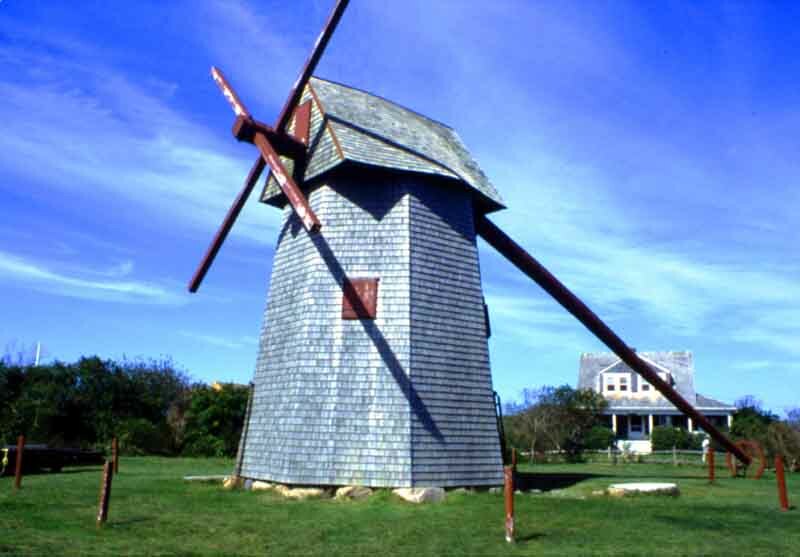 Nantucket windmill, sails removed for protection from the storm. 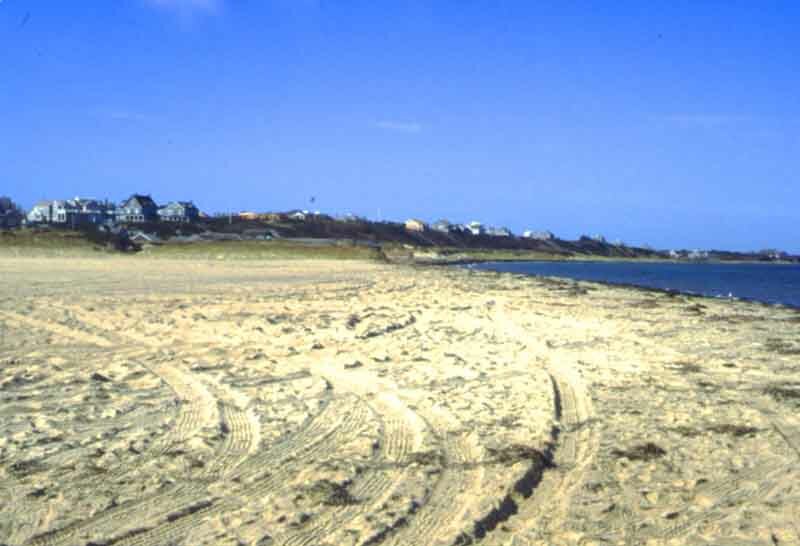 Jetty Beach, near Brant Point. 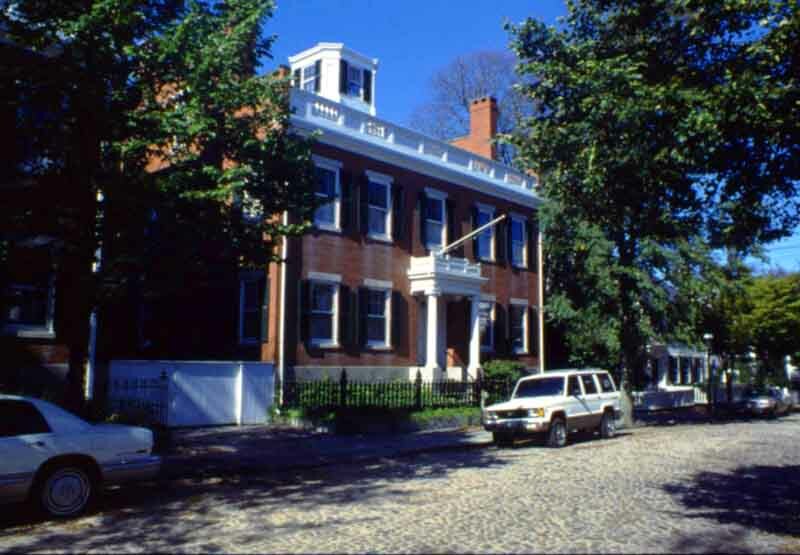 One of three identical brick-built houses in Nantucket town. 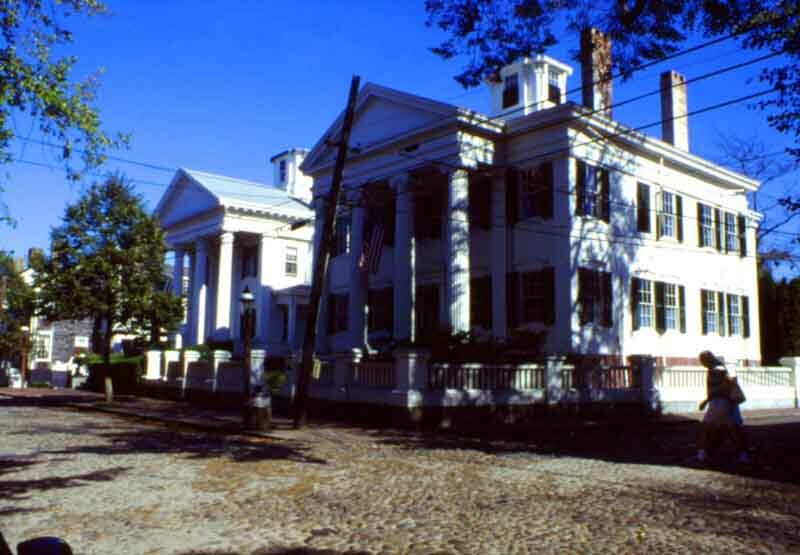 They were built for the three sons of one of the wealthy residents, and are the only brick-built houses on the island. 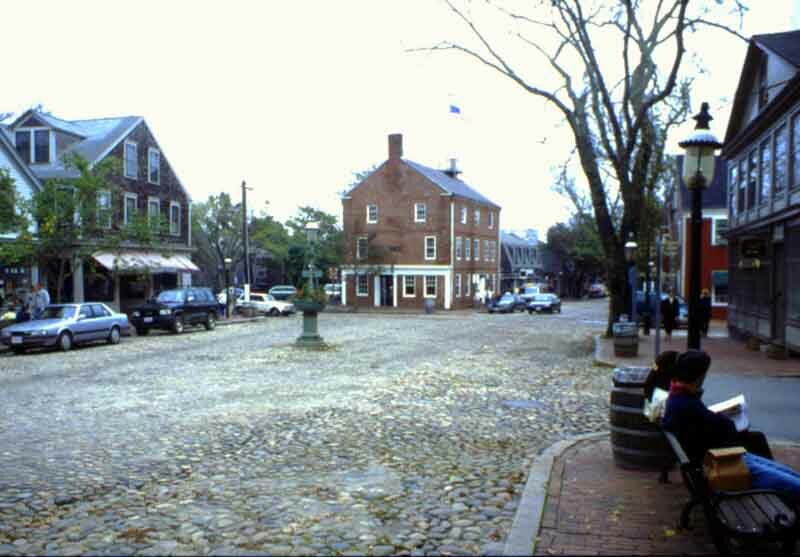 Brick was extremely expensive to ship in when Nantucket was in its heyday, and today it is forbidden to build with them. 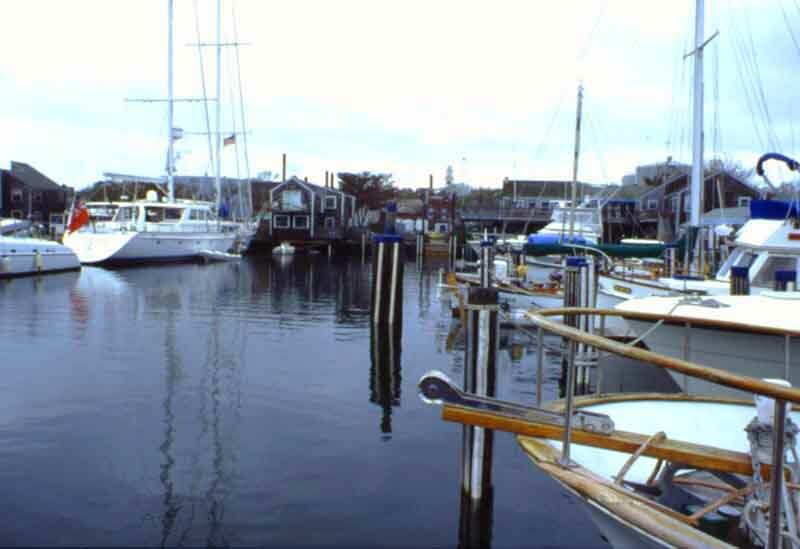 More gracious piles, this is the home of the Island's preservation society. These properties, together with some others on the island, have the fittings on the front doors (knockers, handles and letter boxes) made from Sterling Silver. A few have them on the doors all year round, others replace them with less valuable items for the winter months. A sad moment. 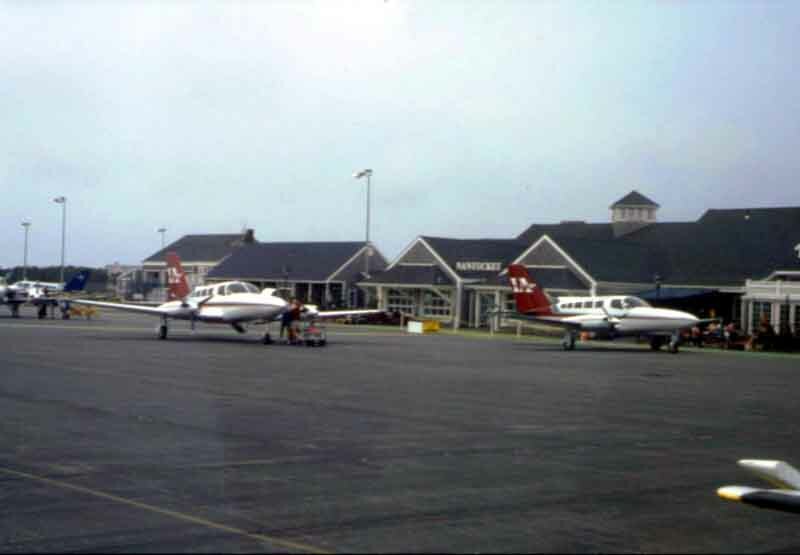 Looking back at the airport buildings as we prepared for take-off in the little plane back to Boston, and then to New York and England.